Learn about the different breeds of Livestock. We have thousands of breed descriptions for Bovines (Cattle, Bison, and Yaks), Camelids (Alpacas and Llamas), Equines (Horses and Donkeys), Fowl (Chickens, Emus, and Turkeys), Goats, Rabbits, Sheep, and Pigs. Help Your Animal Association. Coming soon we will be adding free association programs such as event registration, Livestock Of The World memberships for association members, association listings, and association websites. Advertise on Livestock Of the World websites. 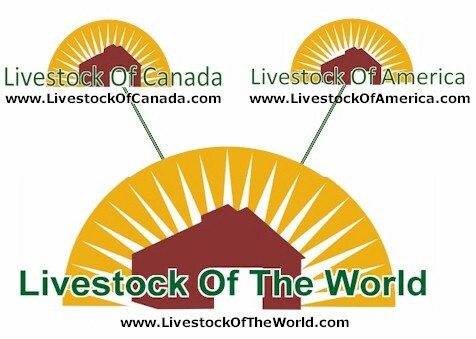 Promote your ranch, event, products, or association on Livestock Of The World website and be seen by thousands of potential customers at very low rates. Manage your account. LivestockOfTheWorld.com.com is the central location where you can maintain your animal and product listings. Start Selling Your Animals and Products On Livestock Of The World! Your animals and products will be seen by thousands of potential buyers across North America. Membership prices are low, starting at only $3/year!